Humanoid Robots are going to be a reality in next 20-30 years, they will not only be able to imitate human behavior but will also be able to think and act on there own like one of them. Definitely it will take another century for Humanoid robots to understand that they are slaves to humans and don’t have any status or reputation in human society. Humanoid robots will further add more complexity to human society, making human beings more lazy, incompetent in front of a machine, but before this happens we can have some fun with these mini-robots which are currently available in the market in the form of entertaining toys . Anyway mini humanoids are good entertainment for both adults and children. Today there are a number of mini-humanoid robots available for sale and there features are constantly improving. 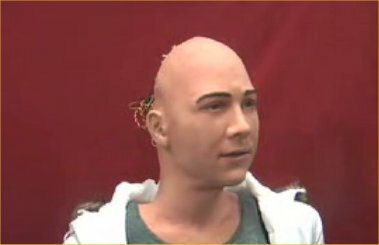 Humanoid robot is a virtual human, a mechanical clone of human beings. It can perform most human like functions, like walking, talking, recognizing, taking decisions. This is a technology which is still under development.It is said to take another 10 to 20 years before Humanoid Robot technology will start appearing in market. These man like machines will not only perform action and react to situation and circumstances but they are also said to be able to develop there own thinking power based on the conclusions of there present reactions and circumstances and may be later they can become philosophical likehuman beings and search for meaning of there life.There is already lot of discussion going around aboutethical consideration on Humanoid Robots and how it will impact our society in future. Here are some new versions of Humanoid robots with improved functioning, they can not only walk but can talk and see things. Some kits are also there which can help to program and design new robots.